I’ve always loved the physical act of writing. There’s something so cathartic about putting pen to paper that nothing else compares to. While I do keep an online calendar for some appointments & reminders, I still also keep a handwritten daytimer/journal. I find I remember things better if I write them down, but I also enjoy having my memories on paper. 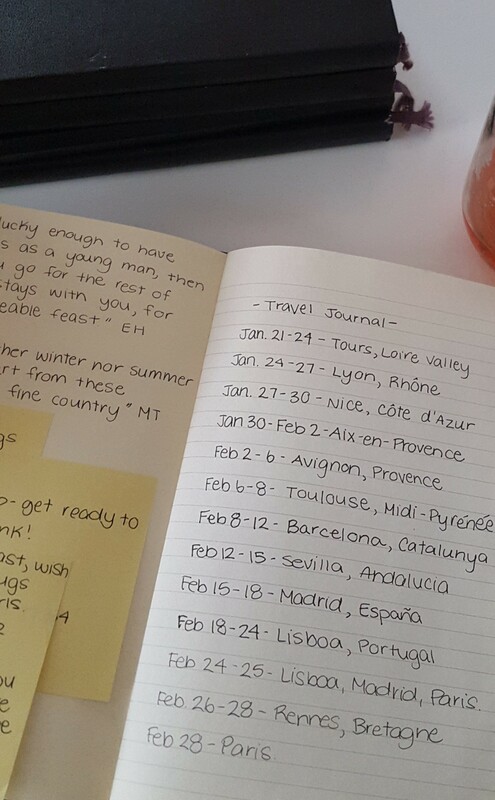 The majority of my journaling has taken place while abroad. I’m a strong proponent of keeping some form of written account while travelling. Whether you jot down things you saw & did in point form or write a full account of your days, it’s both a wonderful keepsake & incredibly helpful when all those buildings in your photos start to look the same. It’s been huge for blogging about our honeymoon & remembering details a year later. I love looking back on them when I have a spare moment & they have the added bonus of jogging my memory when people ask for travel tips. Sure, there are moments I’d like to forget, but most of the time I look back & realize how much I’ve grown. & that’s a pretty cool thing to witness in yourself. My favourite journal is the moleskine journal. I’ve given these beauties to many people before their trips & have a large collection myself. They’re durable, simple, relatively compact, & have a pocket for postcards, receipts, or tickets. I highly recommend them. Whatever the journal you choose, I recommend taking a few minutes throughout your trip to sit down & jot down a few things. It doesn’t have to be a novel. You never have to show it to anyone else. It’s yours to do what you want with. I promise you won’t regret the keepsake or the memories.